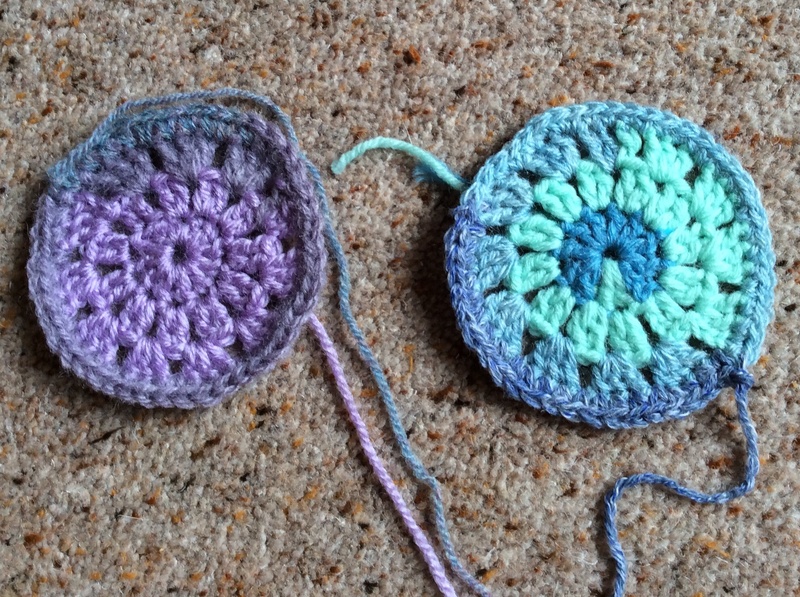 Unheard of, isn’t it – two posts within a week of each other? 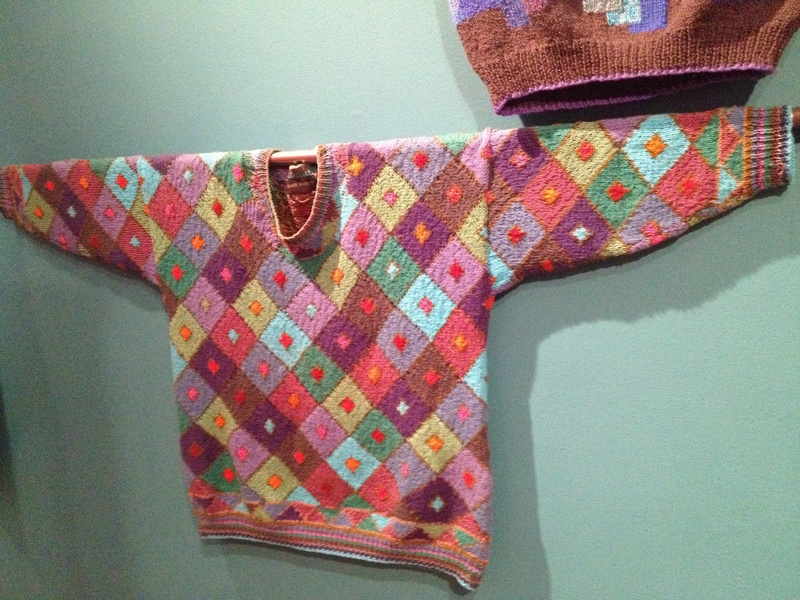 But if you were a passionate Kaffe Fassett fan as I have been for the last 35 years you wouldn’t be able to resist sharing the excitement of seeing his present exhibition in The American Museum at Bath. 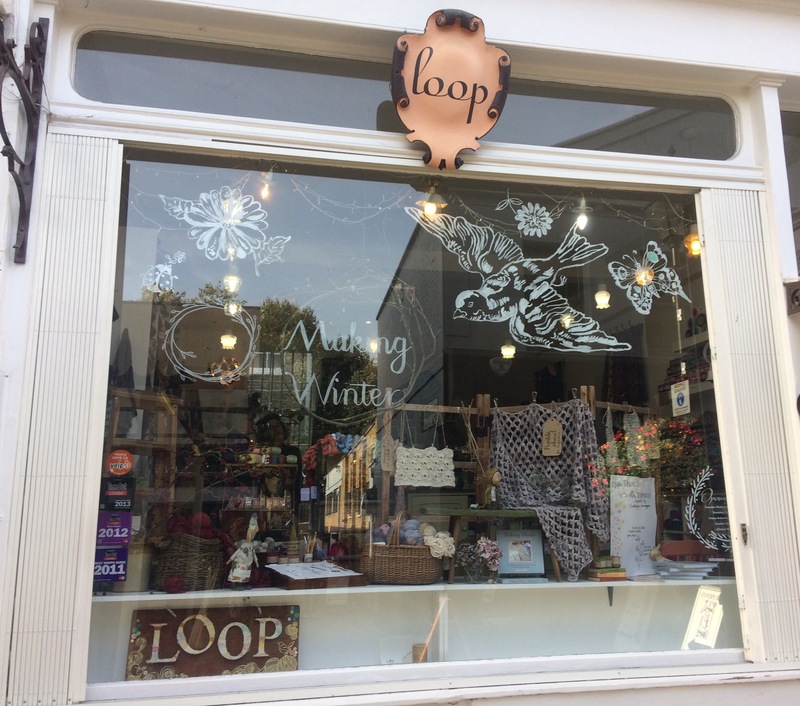 Amazing from the moment you approach the entrance to the minute you leave. 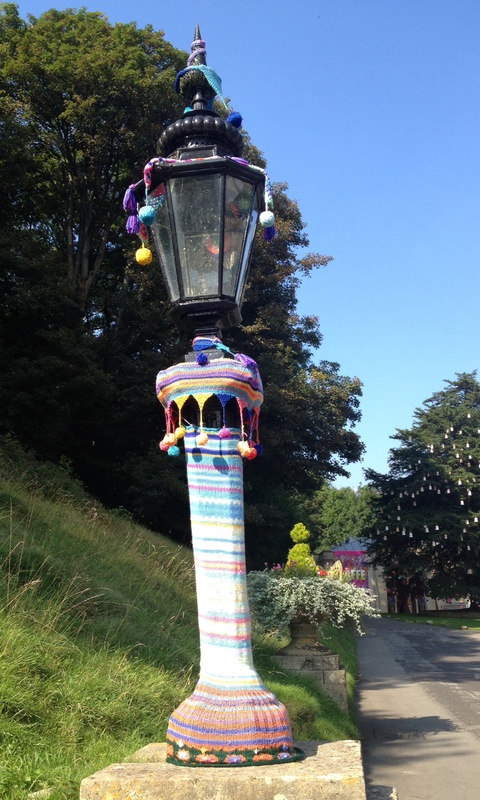 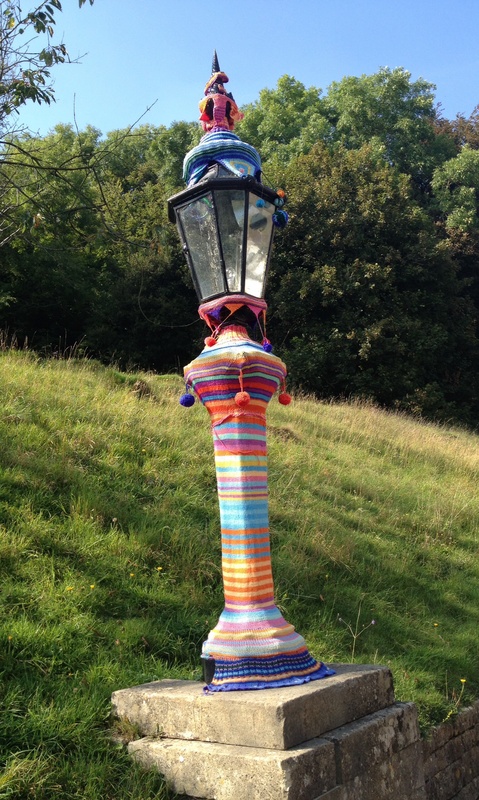 Lamp posts and railings are decorated with knitted and crocheted graffiti. 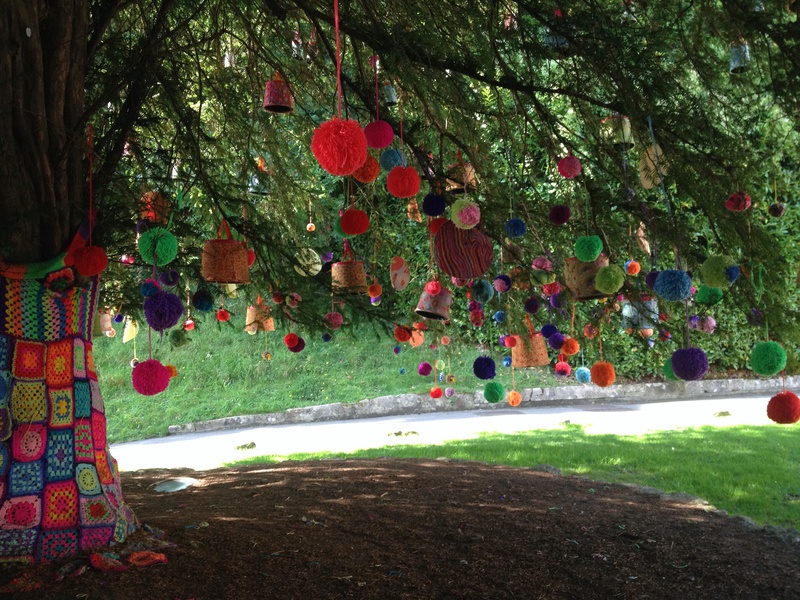 Brightly coloured pom-poms and hand painted lanterns hang from a huge tree to welcome you. 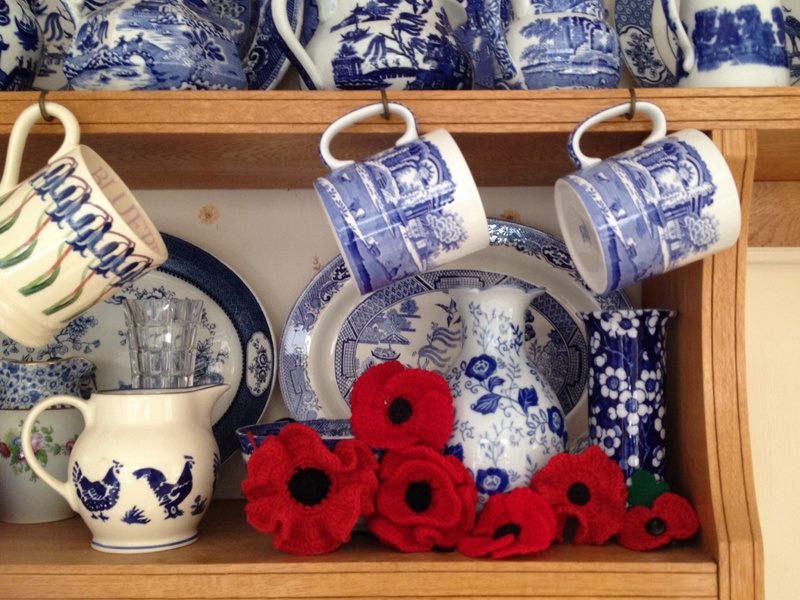 his knitting, his tapestries and needlepoint, pottery, bead encrusted, crocheted hats and paintings. 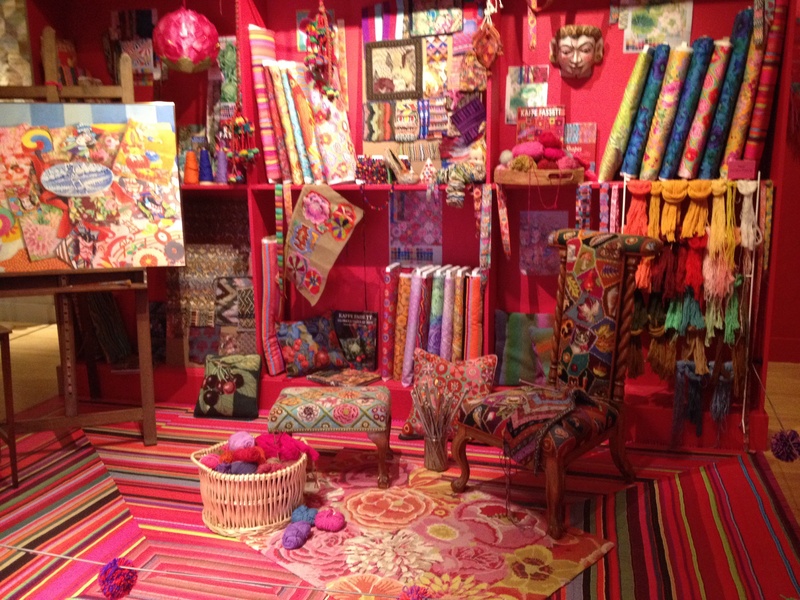 There is even a reproduction of what might well represent one wall of his studio. 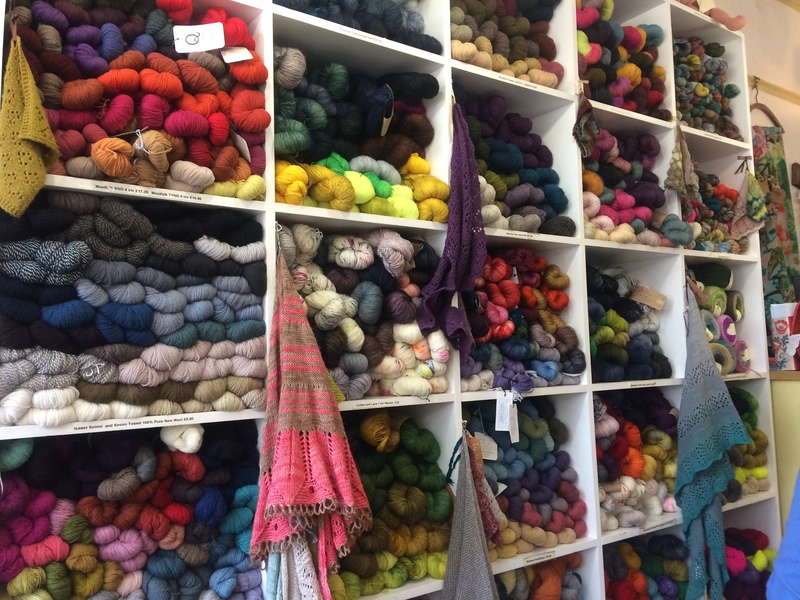 The whole experience is an unforgettable riot of colour and texture – absolutely worth a visit if you in the Bath area before mid- November. 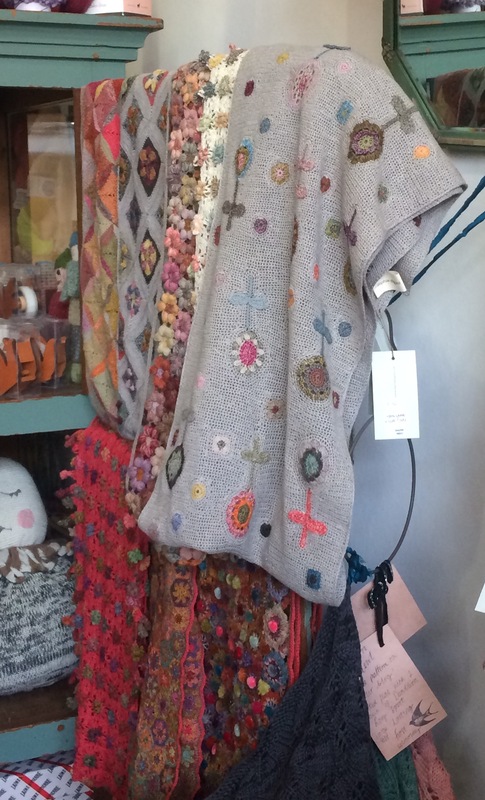 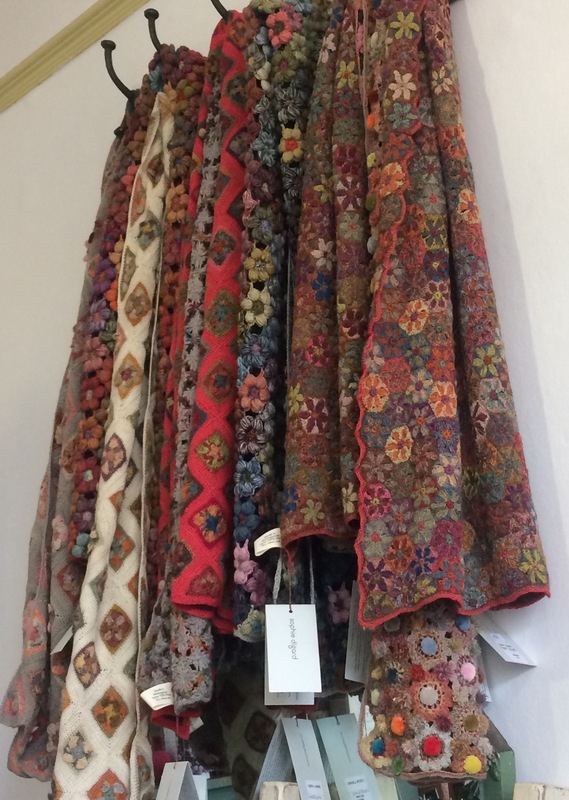 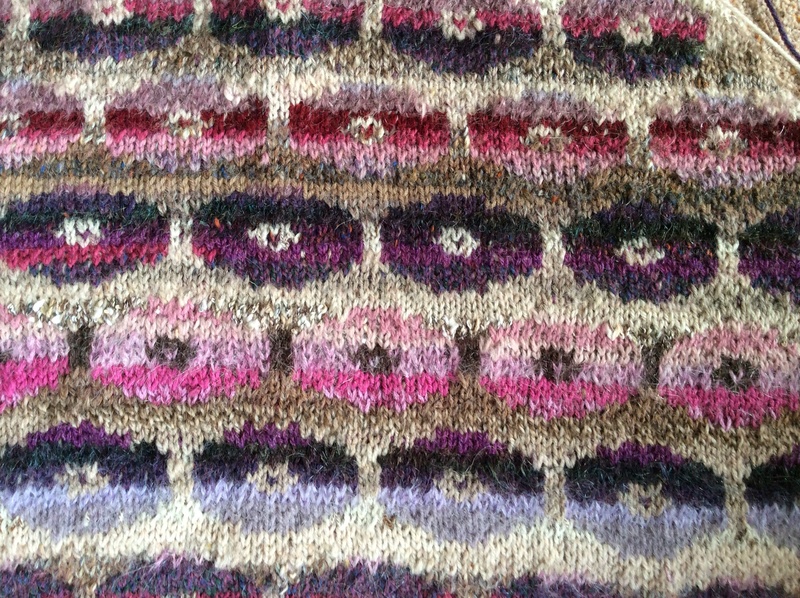 Seeing Kaffe’s designs again reminded me of the time in the eighties when a friend and I used to delve into the bargain baskets of every possible wool shop in search of oddments of co-ordinating yarn with which to try out his patterns. 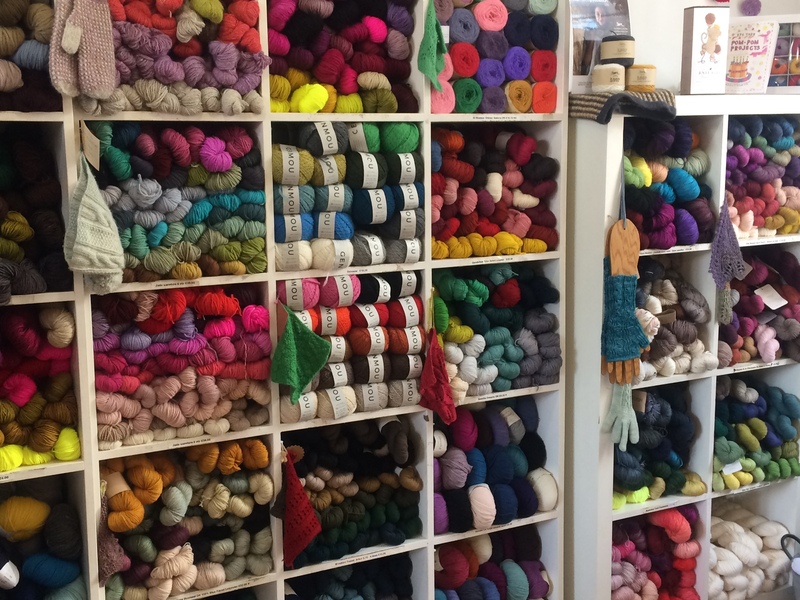 The excitement of finding some subtle shade in delicious silk or mohair led us to stash drawers full of different colour ways. 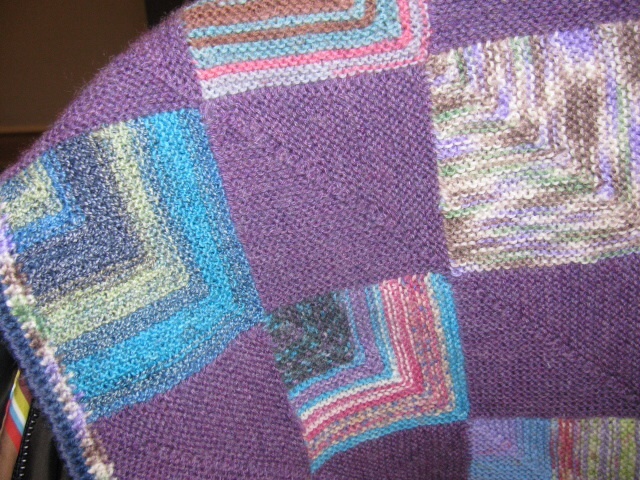 I was also reminded of Kaffe’s Persian Poppy design which he always called the big cheat because it uses the Magic Ball technique. 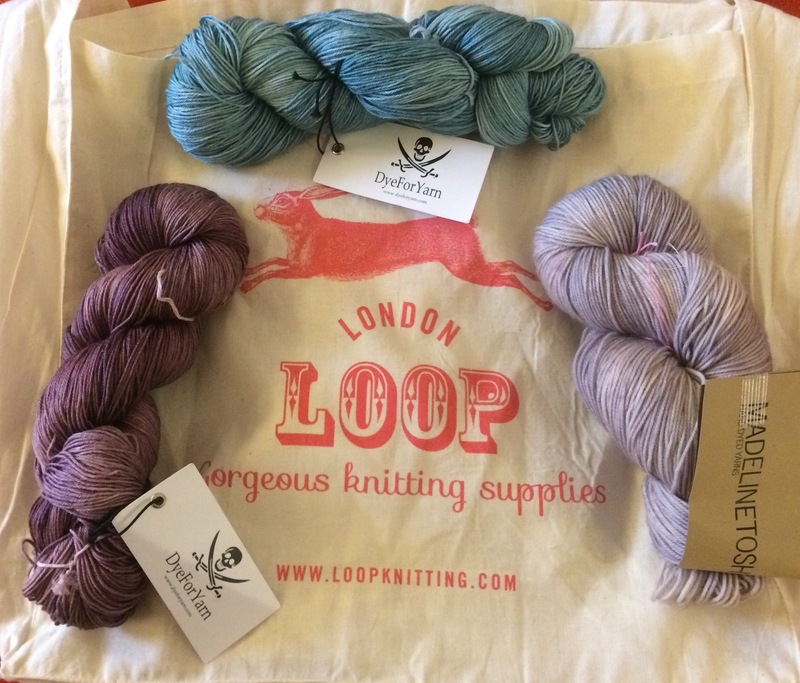 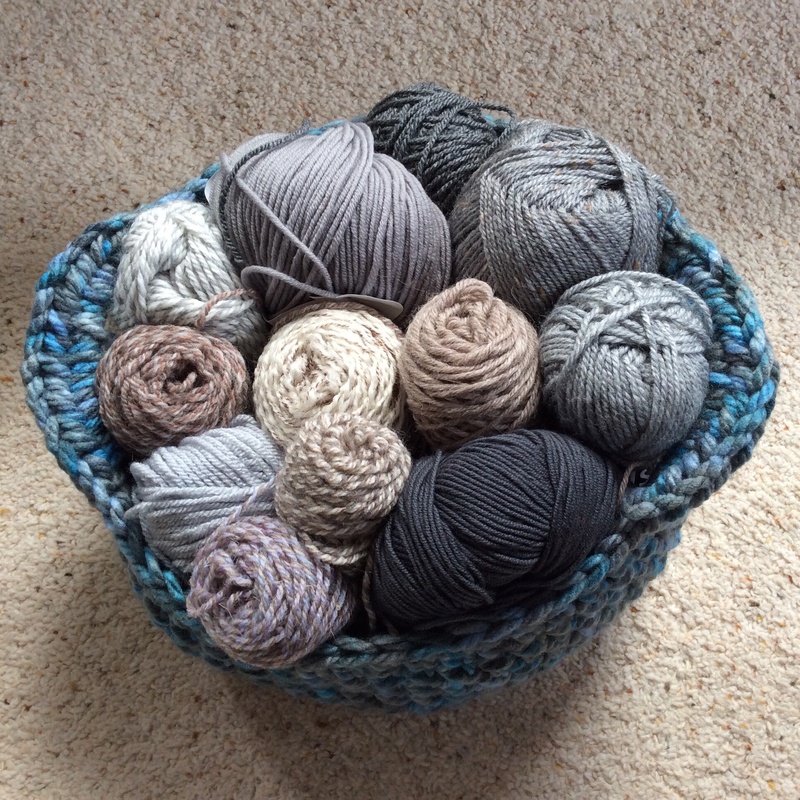 You simply tie together differing lengths of many shades of yarn winding them into a ball as you go – for example blues and purples in one ball and neutral shades in your second ball. 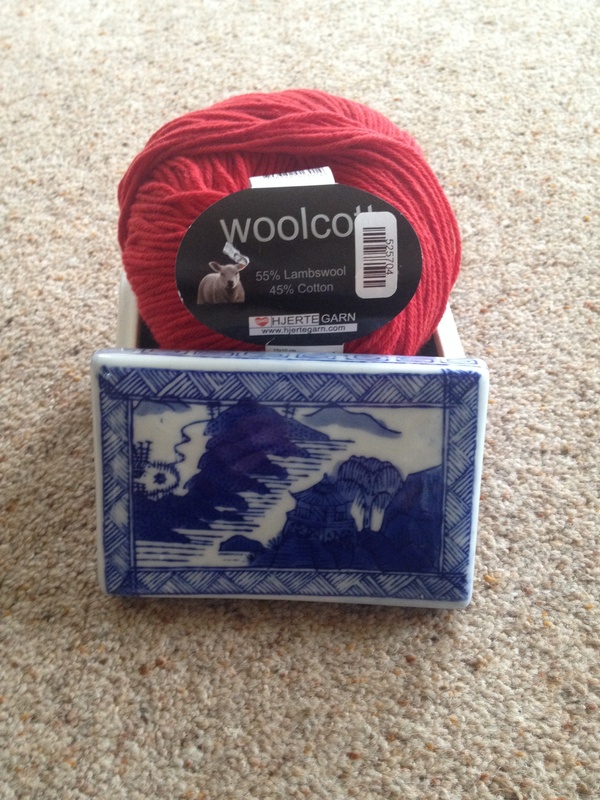 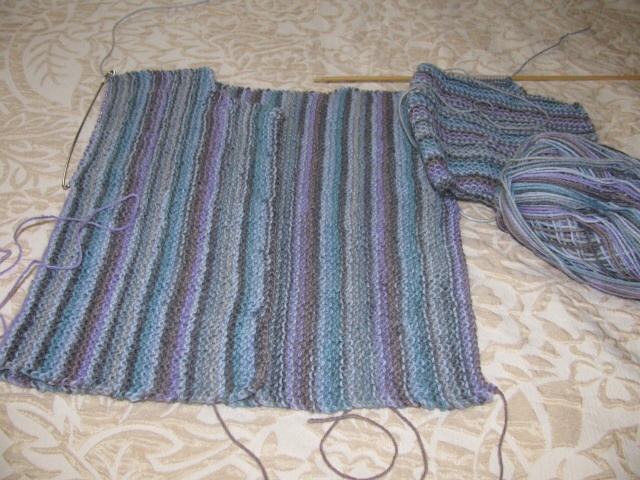 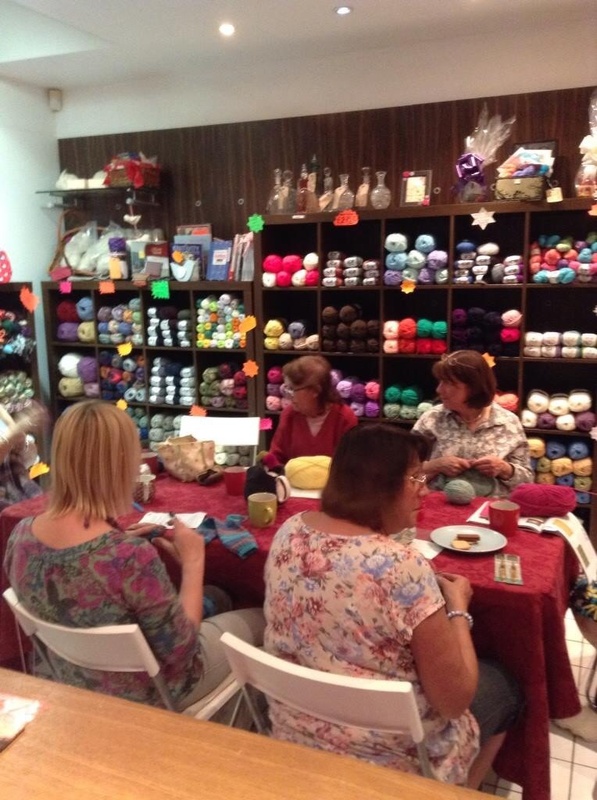 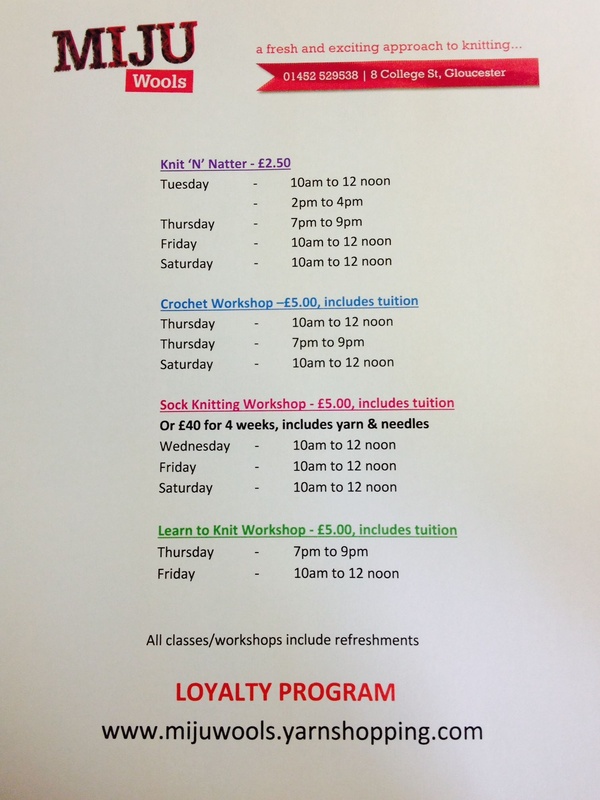 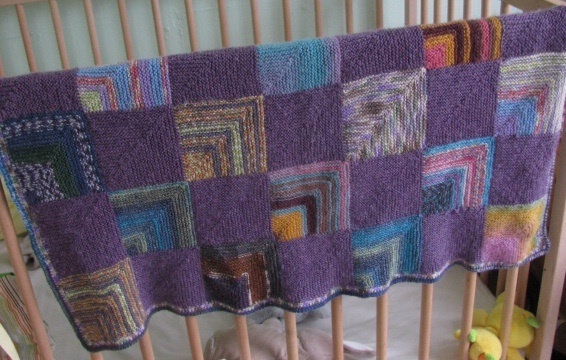 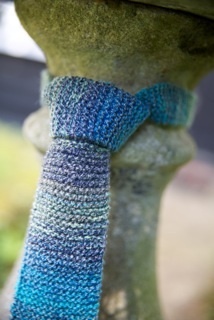 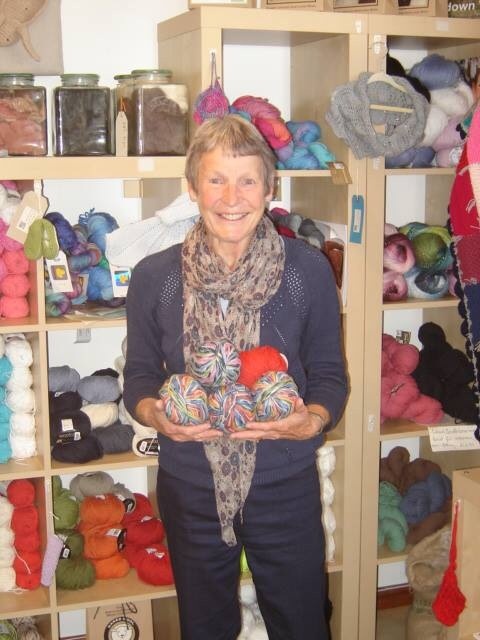 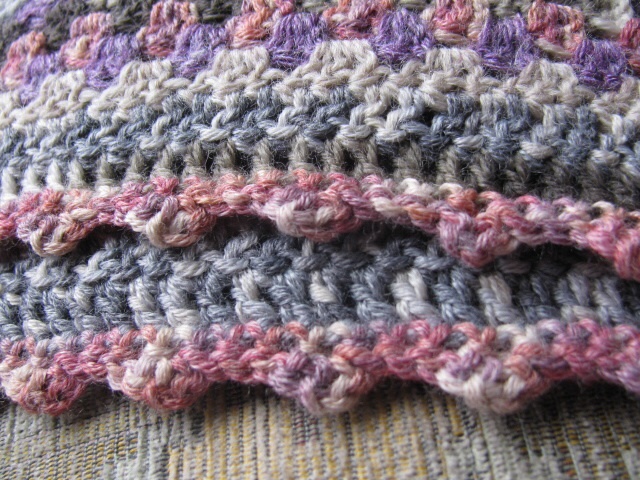 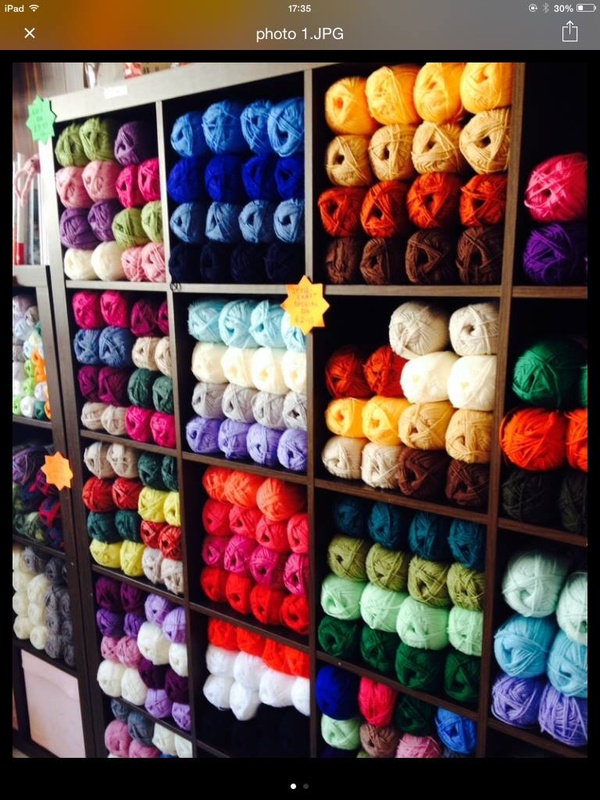 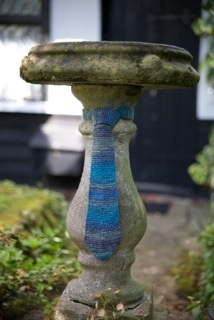 This means that you can incorporate multi colours into the knitting but only ever using two balls of wool. 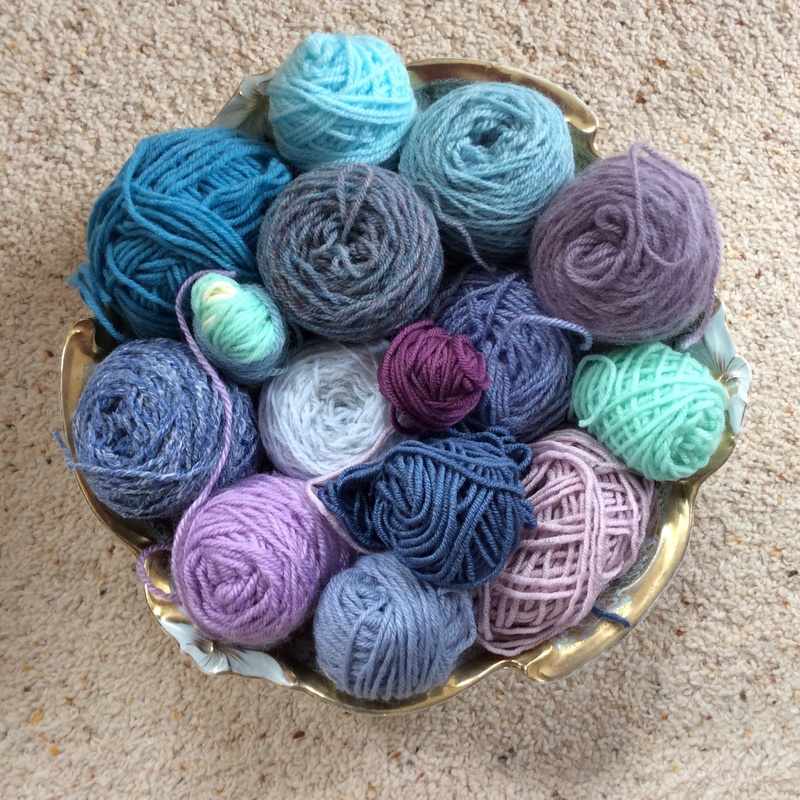 Ingenious ….. apart from the knots!! 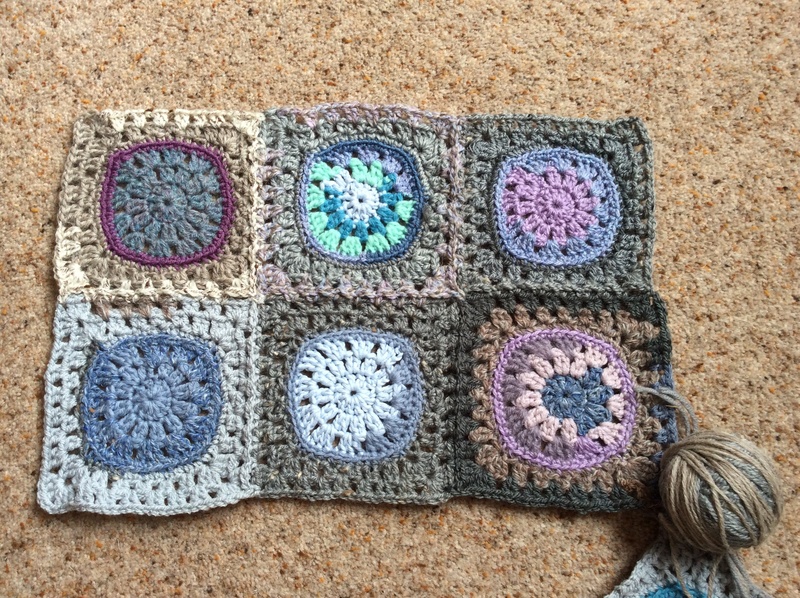 It set me thinking about whether this method would be possible in crochet so I collected together all my different oddments in two colours and started winding. 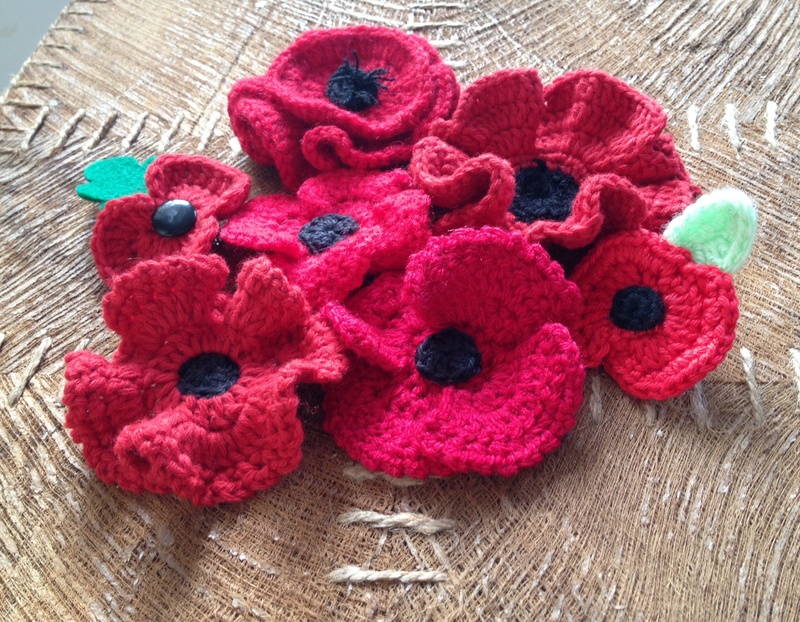 I’m thinking coloured circles on a neutral background like the poppies – maybe something quite small such as a cushion cover. 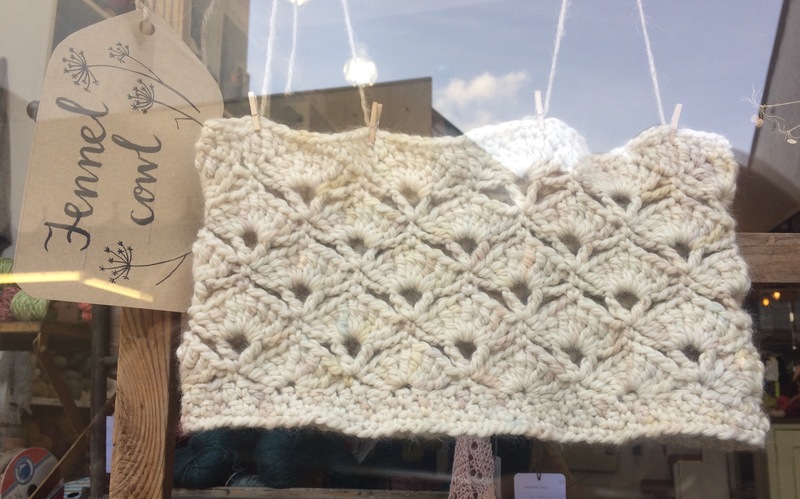 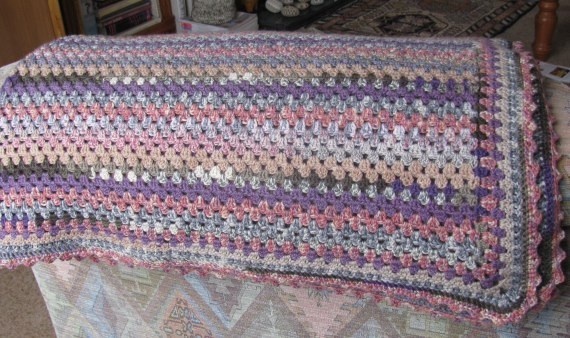 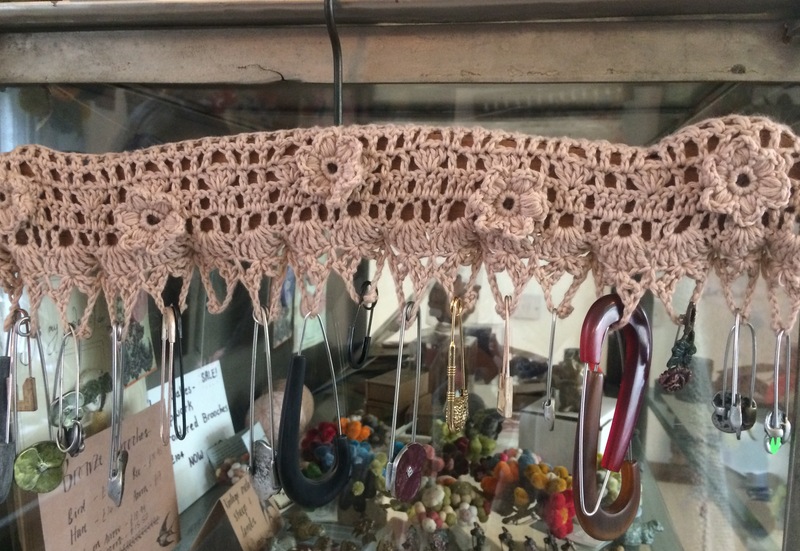 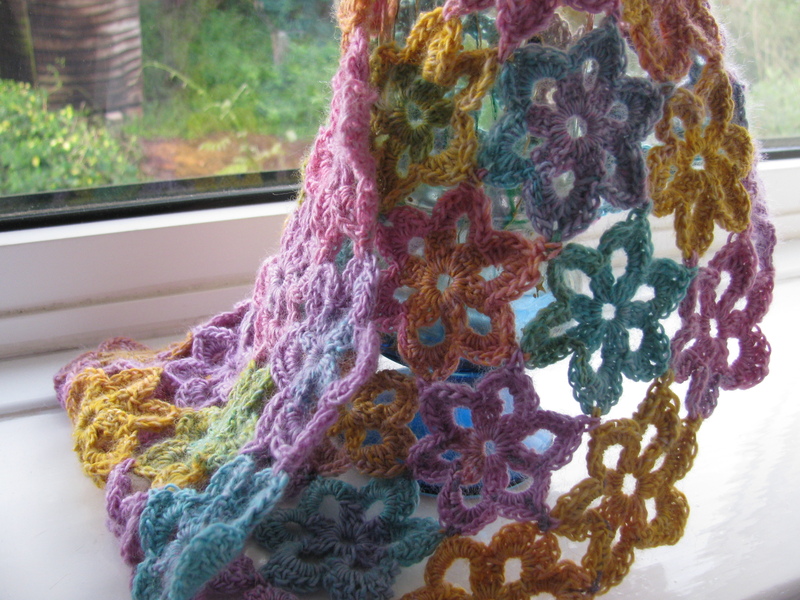 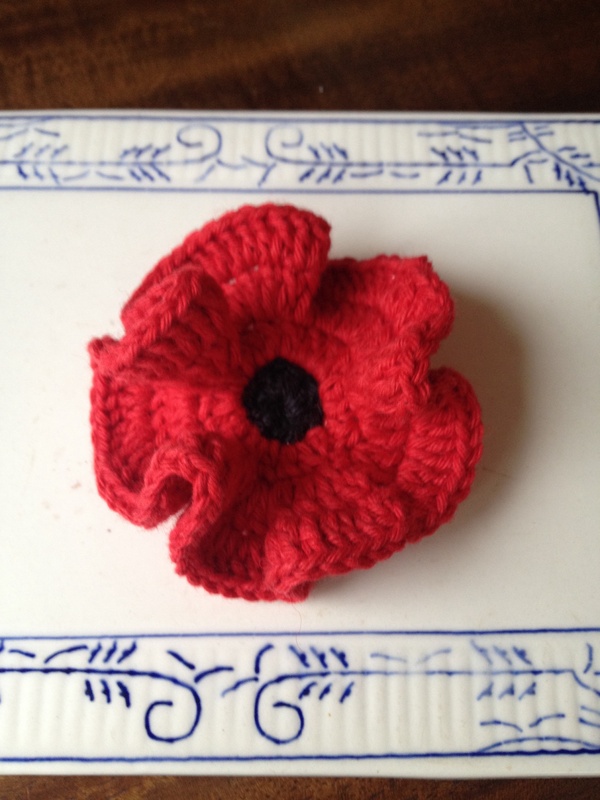 …not quite sure that it will work as well in crochet as it did in knitting. 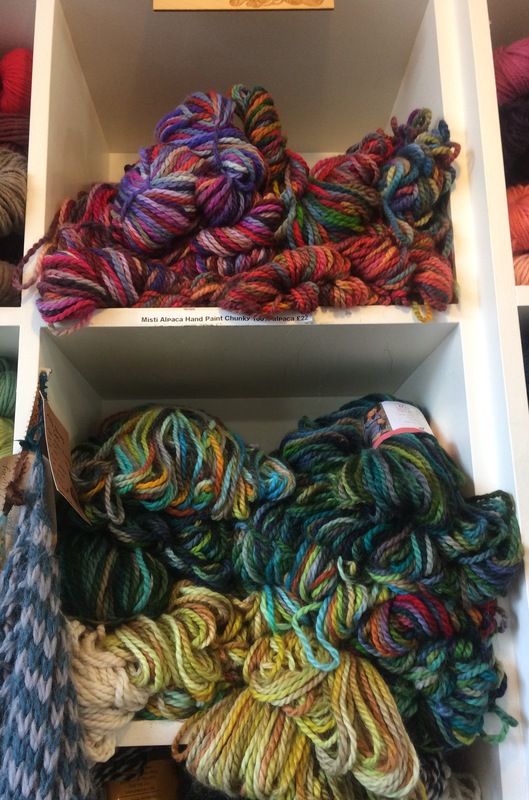 Of course, when Kaffe Fassett was encouraging us to use so many colours in the eighties self-striping and hand-dyed yarns were not available but we’ll see how the experiment goes. 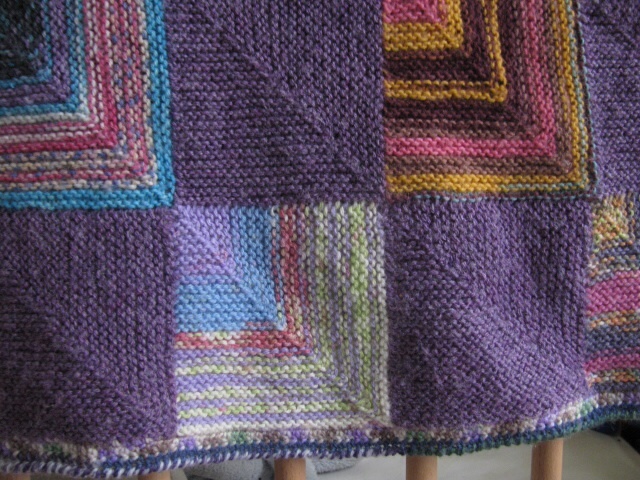 Anyway, I still believe that when in doubt about which colours to add to a project we ought to take Kaffe Fassett’s advice and add twenty more.